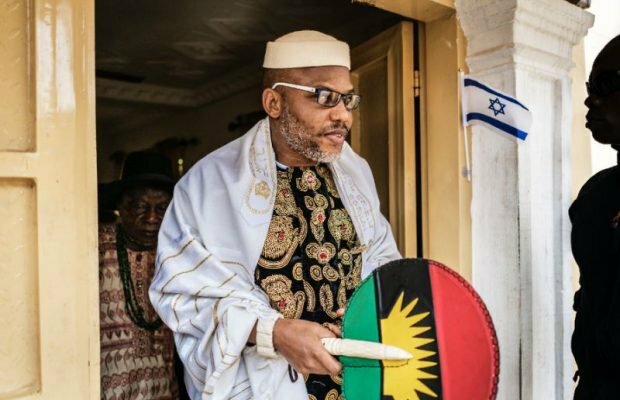 Ever since Mazi Nnamdi Kanu, the leader of the Indigenous People of Biafra (IPOB) and Director of Radio Biafra called for a Boycott of Elections in Biafra land beginning from the November Anambra elections, many "Facebook" writers and critics of the new Igbo leader have been using all known strategies known in media propaganda to paint him with a tar busy in order to pull him down. Some have been expressing their opposition to the election Boycott, opining that Nnamdi Kanu should rather sponsor candidates with Biafra spirit to win elections into the NASS and sponsor a Biafra exit from Nigeria. Each time I read or hear this line of thought, especially from a fellow Biafran, I only but wonder where our history faculty has gone. Asking Nnamdi Kanu to sponsor people politically is making the same mistake of the past. Ojukwu was outsmarted to drop the struggle and join the rotten Nigerian politics, but what happened at the end? They set him up and rubbished him. He was not only rigged out, but they used an unknown face and unheard candidate to defeat his senatorial ambition. They so disgraced him that he lost value even among his kinsmen. To save his "arrogant face", Ikemba formulated what you are today marketing - Biafra of the heart without geography. Uwazuruike started his own. Again the political elites set him up. They encouraged him to go political. Suddenly, Uwazuruike was seen and heard endorsing governors and Speaking politically. Today, to save his dwindling image, he compromised and simply snatched the tail of the cow instead of losing out completely. Today, they have started again. No Igbo man disagrees with Mazi Nnamdi Kanu that his reasons for agitating were wrong. They all agree to the fact that Biafrans are not being fairly treated. Now they want Nnamdi Kanu to go political forgetting that "First fool no be fool na second and third na em be proper fool". Nnamdi Kanu is not a fool. Asking Nnamdi Kanu to go political in a political set up that Ndigbo have no single control over is like flying in a remote controlled plane. I am being factual here on why Nnamdi Kanu must never go political. It must be understood that Nnamdi Kanu never and is not breaking any known law by calling for a Boycott of Elections in Anambra State and in the South. It is not even a new thing in this part of our world. In 1945, Nnamdi Azikiwe equally called for a Boycott of Elections in Eastern Region. Such calls are known as Civil Disobedience in civilized societies except in "Zoo Republics"
It is not possible for any elected Easterner to raise the issue of Biafra sovereignty in any of the floors of the National ASSEMBLY of Nigeria because none of the Chambers' Rules supports such motion. With the deliberately skewed population imbalance in the chambers, such motions or Bills will not even be debated. With a mere voice vote, it is trashed into the trash bin. Where are the brains of Ndigbo calling Nnamdi Kanu to go political? I can't believe we are suffering from this indescribable short memory. We can't be fooled again. It is best to allow Ndigbo choose their destiny through a referendum. These campaigns against Nnamdi Kanu do not make sense.